Day in the Village – is a also just that! Spend a day exploring village Chanfi and the life of the simple village folk. 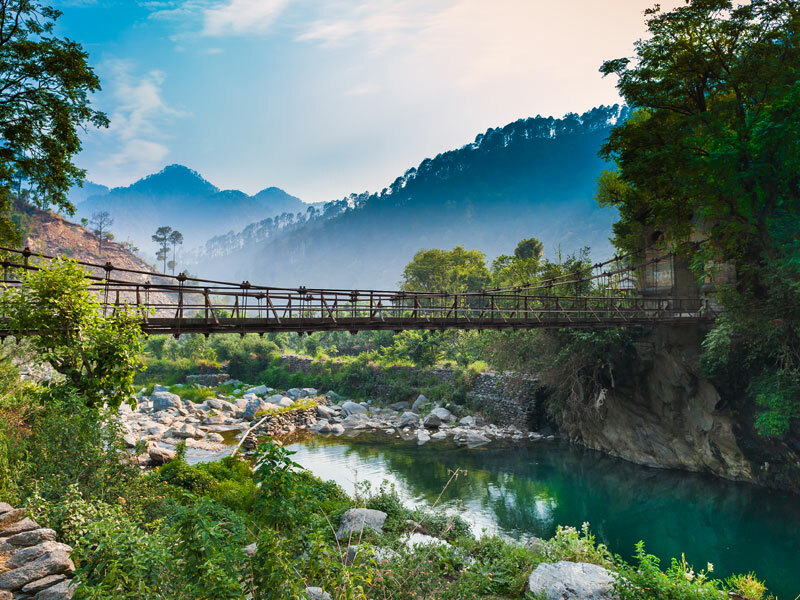 Post breakfast, this outing starts at the Jhula Pul, an old suspension bridge built by the British over 200 years ago. Why this bridge was built is open to conjecture and an insightful perspective on this is to be gained from speaking to the villagers. As you walk through paddy fields, vegetable patches our village guide will point out what all is growing in the farms, which are mostly subsistence in nature, where the villagers farm for their needs and sell the what is in excess in the market for extra income. As you wind your way through the farms, you will come upon a ‘Pan – Chakki’ – a water run mill used by the villagers to grind grain into flour. Witness the workings of this unique millstone, as the mill master explains how the grindstone rotates on the pure energy of the running water. 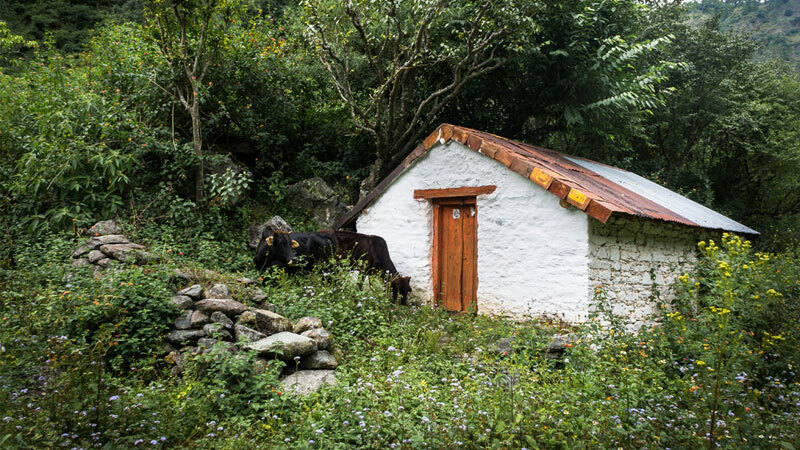 As you walk through the fields and arrive at a cluster of homes in this little hamlet, the guide will point out interesting details of kumaoni homes that are common architectural practices in the hills. Watch an iron smith at work using all the old forgotten techniques of fashioning agricultural implements – an art that will soon be lost to us. Enjoy a cup of tea with a local family, who will take you into their home and hearth and extend their simple hospitality and share you a flavourful cup of cooked tea with you. Enroute, back to the retreat, you can also buy some farm fresh fruits and vegetables from the villagers who set up a small Mandi in the evening to sell off their day’s produce. This will be especially prepared for you by our chef as a part of the dinner.